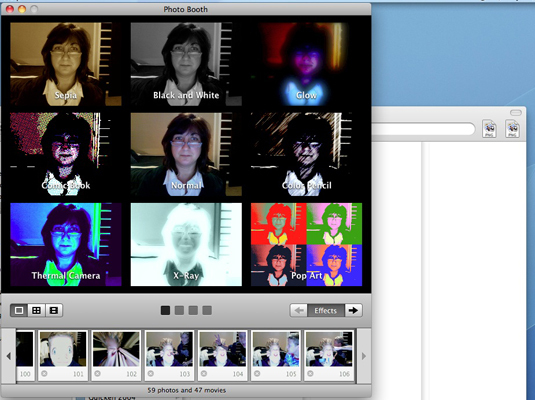 Launch Photo Booth from the Applications folder. 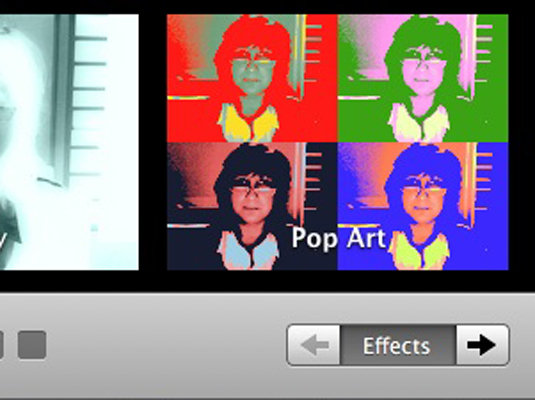 Photo Booth displays thumbnail images so that you can see how each effect changes the photo. To return the display to normal without choosing an effect, click the Normal thumbnail, which appears in the center. 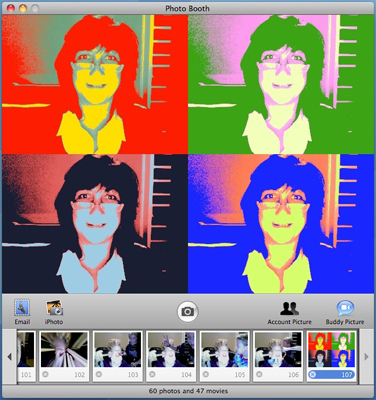 Of course, you can always launch your favorite image editor afterward to use a filter or effect on a photo. (Optional) Click a thumbnail to select the desired effect. The image appears in the film strip at the bottom of the window. Photo Booth keeps a copy of all the images you take in the film strip so that you can use them later. After you click a photo in the filmstrip, a series of buttons appears. (Optional) Click the Series button. 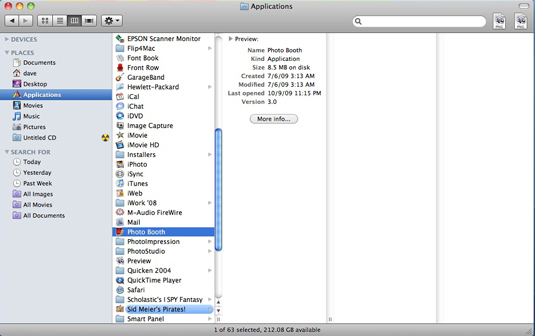 You can choose to send the photo in an e-mail message, save the photo directly to iPhoto, use the image as your Snow Leopard user account icon, or use it as your iChat Buddy icon.